My sister loved it. Put a smile on her face. I bought this for my husband as a "minor" Christmas gift, and he really liked it. The candy is comprised of selections I already buy to put in the candy dish at home. The canister could be used for other purposes once it is empty, which is a positive. I do recommend it. Purchased this gift for my good friend, Mrs. Kimball. She was elated when she opened her gift and plans to take it with her for Christmas at her son's home. 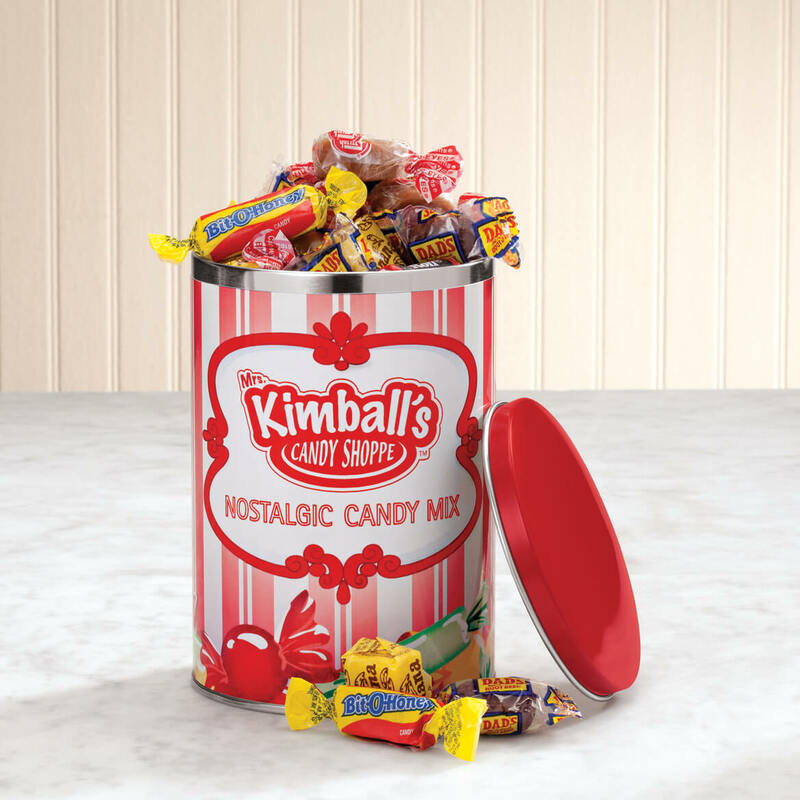 the grandchildren there also have the name Kimball and she thinks they will love the candy and the container. This is way smaller than it looks in the catalog. Also, the candy inside is miniature pieces. I would advise you not to waste your money on this. Don't go by the photo or description ! It remind me of my childhood. The good old days! My mom loves these candies! loved all of the candy when I was a kid and never could find it. My ex-husband loves each of these candies and they are almost impossible to find. I like the candy selection, plus I can use the packaging. I love all the old fashioned candy you cant buy in the stores. 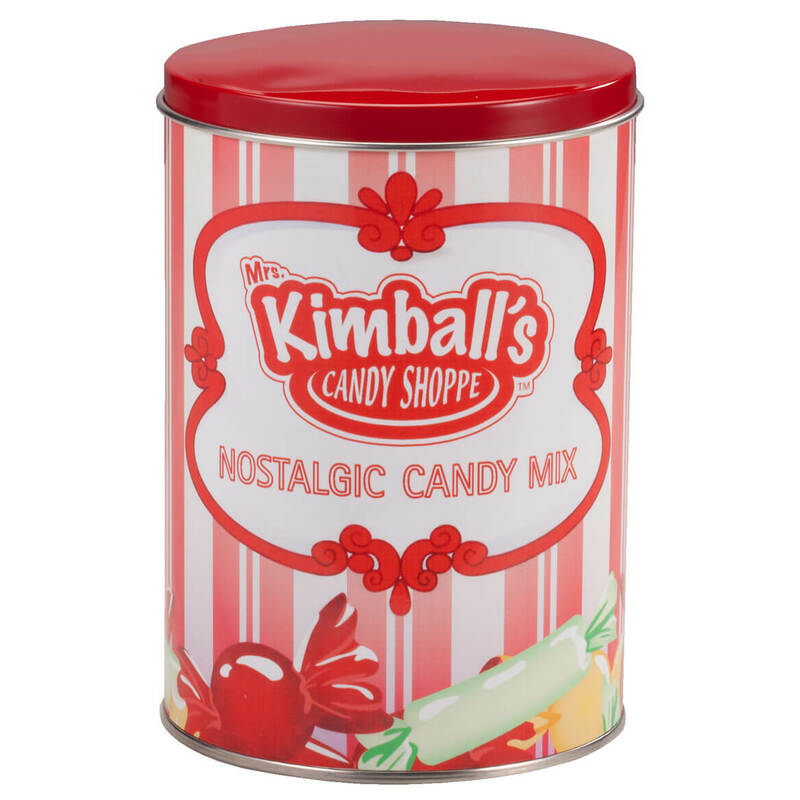 I love the nostalgic candies. Just reaching back for a taste of the Past. This tin is for me, I love it. It's like the candy I used to buy as a child in the 60's. I like all of these candies. I like Nostalgic Candy, I bought one for myself and one for my two oldest grandchildren. It have an variety of candy. We used to take our children to the penny candy store and now we thougjt we would bring this on a Christmas visit to our Grand children.